Conquering bedtime has been on my list of my most-conquer-now tasks. I’m sure this task is on nearly every parent’s conquering list; along with laundry, dishes, and dirt. And “they” say, “Life doesn’t change once you have kids.” Or maybe I just didn’t listen? In an effort to make bedtime a stress-free and enjoyable process, I created a simple bedtime routine for accountability. If you missed it earlier this week, you can find the bedtime chart and routine over here. Plus, a printable to get you started with making your own board for a stress-free bedtime. Even with an amazing new system, a mom needs a few tools in her bedtime toolbox to help the process of those sweet Zzzzzzs along. Yes, there are books, quiet songs, and even the sound machine (you know, that machine that sounds like a mother’s womb or giant tug boat), and lots of cuddles, but there are also bath-time tools that can help relax the kiddos and encourage the lights out time. One of my favorite bedtime tools is sleepy-time bath salts. A simple combo of dried lavender, lavender essential oil, and epsom salts. Lavender naturally encourages relaxation and epsom salts are rich in magnesium, and magnesium= sweet dreams. My bath salt recipe was original formulated for my kids, but I regularly enjoy a few scoops in a relaxing mommy-bath with a nice glass of organic red wine and raw brownies (which you need to make!). Natural, real food mommy-time at its finest. I started making my own homemade body wash a couple of years ago. That simple body wash was my second ever DIY recipe and it still sits in my shower (of course, I’m talking about the same recipe, not the same exact jar of body wash). My kids have enjoyed using my homemade body wash since they were tiny babies, but as they grow and mature into independent little people (a true joy to watch), they enjoy having their own unique products to use. The base of this kid-friendly body wash is made with castile soap and water. 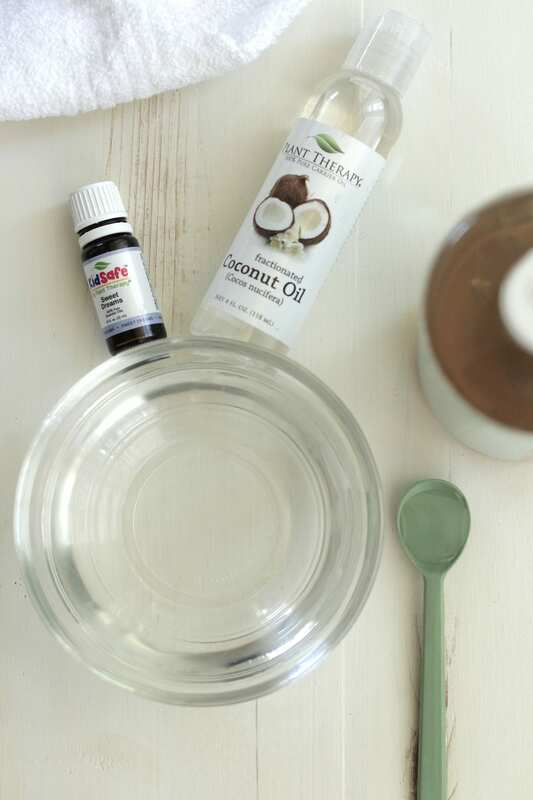 This solution is then mixed with nourishing fractionated coconut oil, which unlike the coconut oil bought for cooking, remains at a liquid state despite temperature changes. This means the oil won’t clog your drain in the winter…woohoo! 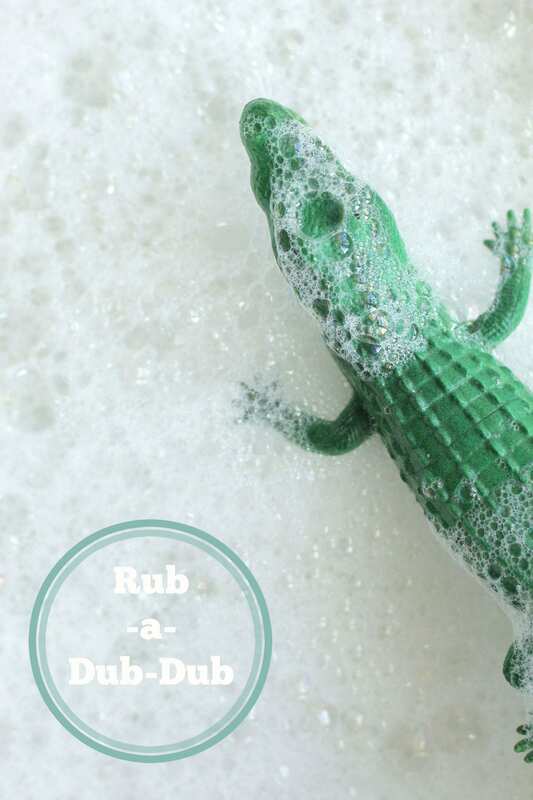 Glycerin is added to enhance the bubbles…a kid’s best bath friend. Finally, the secret sleepy ingredient is added. The top secret ingredient is called, “Kid Safe Nighty-Night Essential Oil.” This essential oil is a new blend introduced by Plant Therapy as part of their amazing new line of kid-safe essential oils formulated with the help of aromatherapy expert Robert Tisserand for kids ages 2-10. The line not only includes this sleepy blend, but also oils for tummy aches, Eczema, allergy symptoms, headaches, and more. 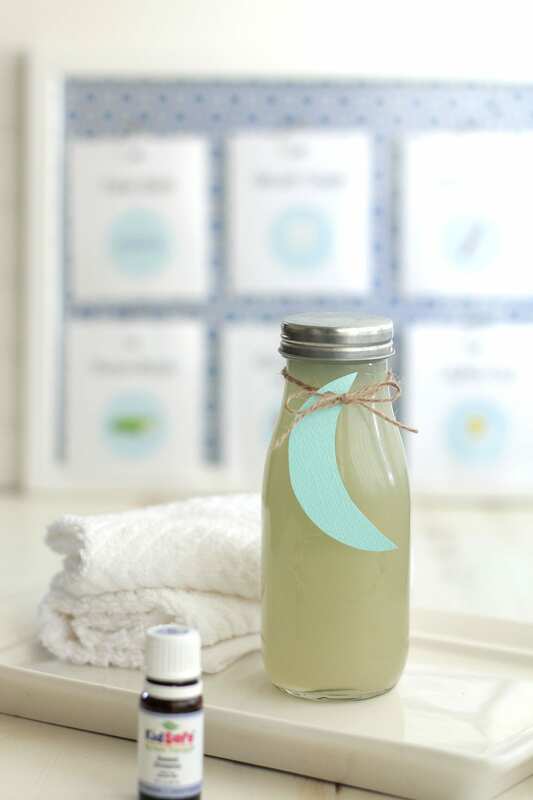 With my secret sleepy body wash, lots of kid-friendly bubbles, and a bedtime routine board, nighttime is once again enjoyable and sweet Zzzzzs are conquered. 1/2 cup water Clean tap water is fine for short-term use. Use distilled or boiled and cooled water for long-term use. 2 TB fractionated coconut oil you can substitute coconut oil with another nourishing oil, if desired. In a jar or soap dispenser or jar, add the water first (to prevent bubbles) then the liquid castile soap, followed by the glycerin and oils. Shake the ingredients together. Shake the ingredients before using. Use a small amount on a wet washcloth or sponge. When you introduce water into a product without a preservative you always run the risk of introducing bacteria, so use water-based products quickly. 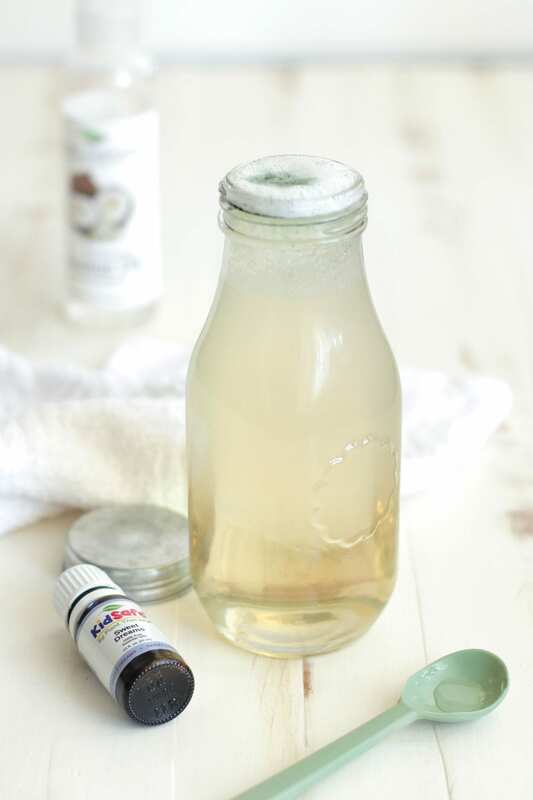 This homemade body wash can also be used as shampoo. I don’t have success with castile soap and my hair, but it works wonderfully on my kids’ hair. If you plan to use this as a kids’ shampoo leave out the nourishing oil (coconut oil) as it may cause greasy hair. I also like to use my foaming body wash.
*Castile soap is a concentrated natural vegetable-based “soap” that greatly differs from the toxic soaps we are accustomed to on store shelves. The “where to buy” links provide you with information on the products I use to make this soap and many other DIYs. 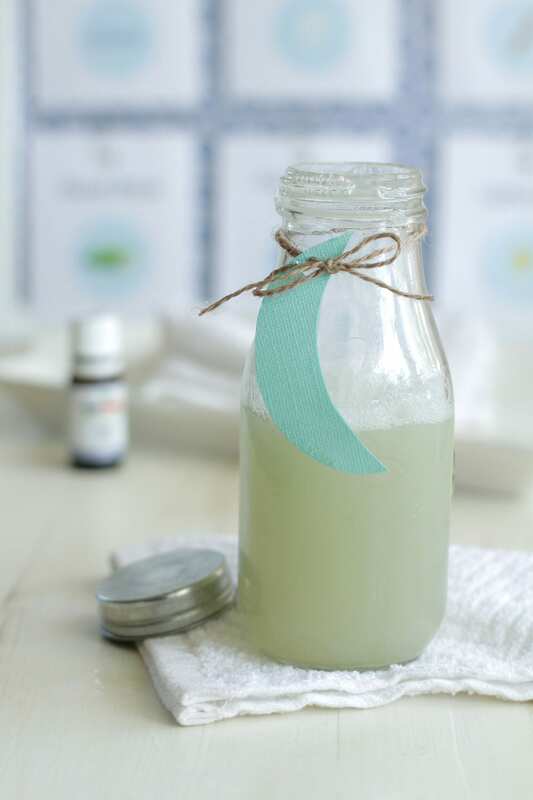 Lavender essential oil may also be used in this recipe in place of the Nighty-Night Essential Oil. My kiddos love a bubble bath! I will have to make this for them soon! This looks lovely, Kristin! I have most of the ingredients, too, and I’m certain our littles would enjoy it. About how much does this recipe make? I added up the cost of the materials needed for making, it came to about $60. I am just wondering if the initial cost is the biggie, but if it makes a lot of children’s body soap it would be well worth it! Thanks for an informative article and the links to finding the products, I love it when you bloggers do that for us! 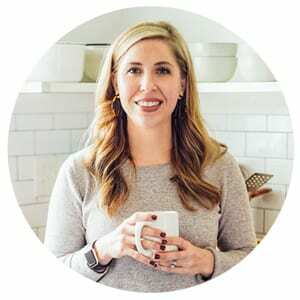 Hey Sherri, The price of making DIYs can be a bit pricey upfront, but most ingredients are used over and over again for multiple recipes. 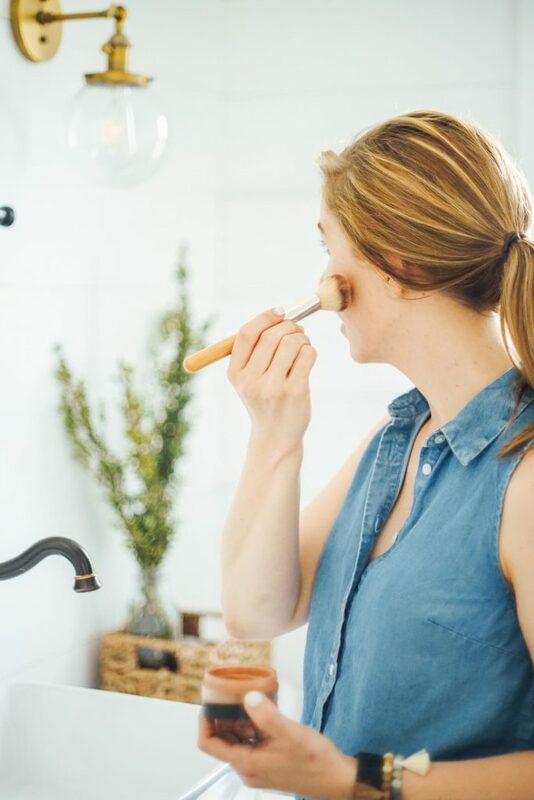 This means in the long-term homemade products generally last longer and end up costing less than store-bought individual one-time use products. I would check local stores for the Castile soap and the coconut oil can be left out,if desired (it just adds extra moisture). 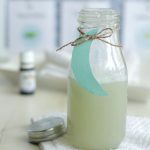 Also this post explains the ingredients I keep on hand which make multiple homemade products: https://livesimply.me/2014/10/14/diy-all-in-one-glass-and-stainless-steel-cleaner/. Hope that helps :). Could I substitute lavender oil on this recipe? Thank you. Hey Vicky, Yes, you can. Lavender would be a great replacement! Hey Jalynn, For long-term (about 3 months), I recommend using distilled or boiled water. Hi can you suggest how much to out in a baby bath? This will be great! Hey Nancy, I would use a very small amount…maybe a couple of tablespoons? Hello, sweet blog. I’m wondering if this is tear-free. I’m trying to find a recipe for my kids to use and not worry about them having issues of the soap getting in their eyes (8,5 &3). The oldest is having fun using his special crocheted wash scrubbies I made for his face, not only for his ease of use but promotion of good hygiene 😉 . Hey Justis, Castile soap isn’t tear-free, so I recommend keeping the body wash away from their eyes. Enjoy!! Hi there! Does the coconut oil leave the tub slick? Thanks! Hey Stacy, It shouldn’t from my experience, but if you find that it does, you’re welcome to leave it out. You could use aloe vera gel in its place, since the Castile can feel a bit dry for some folks. hi do you know what is the PH on them ? Hey Hamid, On the body wash or the essential oil? Hi- I’m really excited to try this recipe but was wondering how much bath wash you end up with and whether I should double/triple the doses? Can this be used for newborns? Or only beyond that newborn stage? Hey Noel, For a newborn, I personally would avoid essential oils and just use diluted castile soap. Could I make the recipe as follows but put into a foam dispenser instead?